Have you ever wanted to grow a tropical plant, but you live in a colder climate that is not conducive for the plants proper growth. 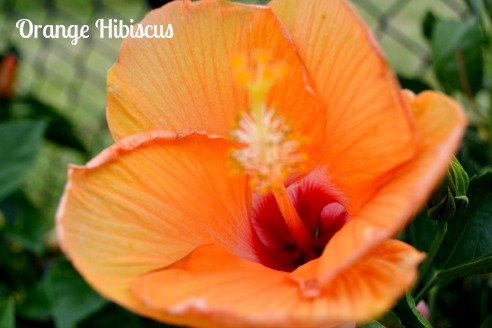 I have the perfect tropical plant for you, Hardy Hibiscus! The Hardy Hibiscus is similar to the Tropical Hibiscus with some minor differences. 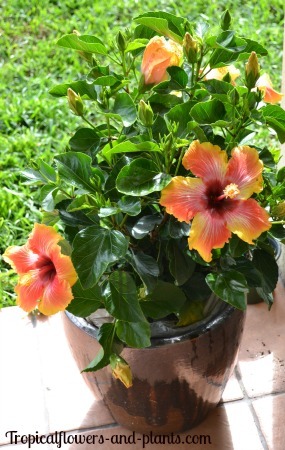 Both types of Hibiscus plants have a variety of species to choose from. This allows you the opportunity to create your own picture perfect tropical garden. I absolutely love looking onto my back porch and seeing my tropical plants. Like this one above. Transport your back porch into an oasis by placing pots together, different sizes of course, with beautiful tropical flowers. TIP: When purchasing your Hibiscus at a local garden center keep in mind that they don’t label the different types. All Hibiscuses will be combined together. These cold lovers are quite new to the trade but have been around in nature for many years, growing from zones 4 to 9 depending on the species. During the cold weather they require little protection and maintenance. In climates that do not freeze and have mild temperatures the stems may hang around during the winter season. In climates that are prone to frost the stems will die all the way back. At this time the root-ball is still active so cover it with mulch to give it more insulation throughout the freeze. You may also refer to Hardy Hibiscus as perennial hibiscus (Bloom during certain seasons and dying back in others) or winter–hardy. This amazing shrub was simply created by some Northern wildflowers. Perennial Hibiscus, show their large stunning flowers throughout the summer and fall. The blooms that are produced will reach up to 12 inches in diameter and some common colors that are found consist of white, pink and red. Unfortunately, Hardy Hibiscus flowers do not produce any aroma. Growing and maintaining Perennial Hibiscus is very simple. They require full sun, proper soil and the occasional pruning. 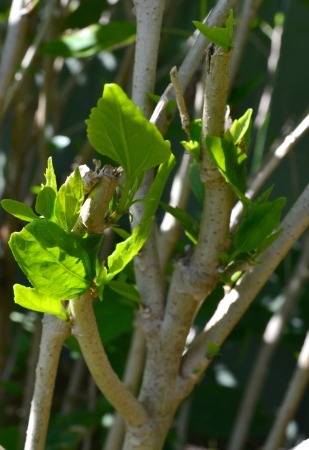 In both conditions you will want to cut back all the dead leaves before spring and the new growth. The picture on the right shows a Hibiscus plant with new growth. 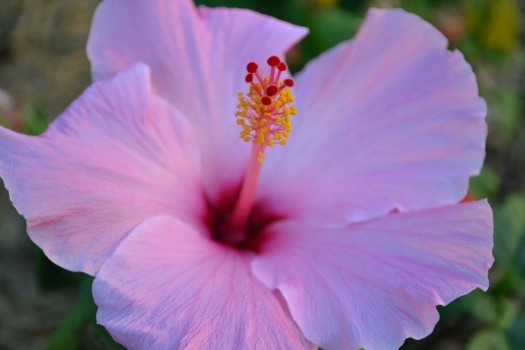 Tropical Hibiscus thrives in hot humid climates, or what most people call paradise. 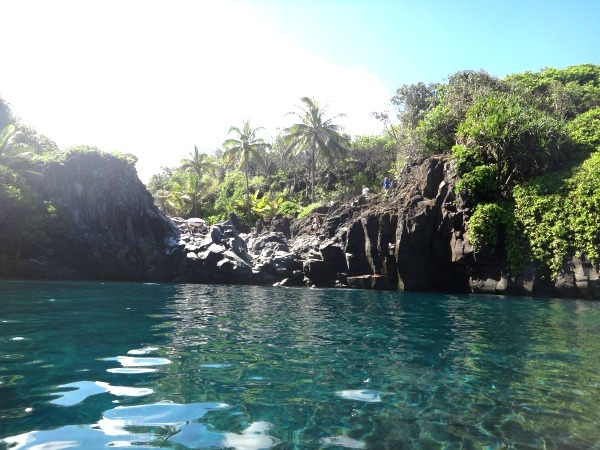 When people think of the tropics a simple image appears….swaying palm trees, beautiful beaches and an abundance of flawless tropical flowers or plants. Hibiscus beginning to open up. Unfortunately, the blooms only last a couple days. My flowers only last around 3 days. After the 3rd day they begin to drop.